The planning meeting for the 2019 Technical Conference and the Food Packaging Safety Meeting will take place at the Home 2 Hilton Suites in Norcross, GA. on February 12 and 13, 2019. Please contact George Fuchs at the NAPIM office if you would like to attend. The tariffs on printing ink raw materials are having an upward impact on the costs of printing ink input materials. There is a tariff exclusion procedure available through the Office of the U.S. Trade representative. Read more on the tariff exclusion page on the members’ area of the NAPIM website. It is with great sadness that we report that long time ink industry stalwart Art Franke (10/26/1928 – 7/25/2018) has passed away. Arthur G. Franke joined Acme Printing Ink Company, in Chicago in 1948. He started work for Acme Chicago as an inplant operator and quickly worked his way up to General Manager of the Mason Ave. plant in Chicago. His exceptionally well-rounded career includes service in almost every phase of the ink business. He served his company in both laboratory and production positions and in 1963 he was made President for the Colormaster Ink Co. (Hallmark Cards Offset Printing Ink, manufactured by Acme Printing inks). The Colormaster inks were exclusively made for Hallmark Cards and were specifically used to print all Hallmark greeting cards at that time. During his career he was a mentor and a teacher, not only to great companies like Hallmark Cards and many others but to hundreds of employees of Acme and Inx International. Art Franke was truly a profound expert in the manufacturing of printing inks and has brought many skills to current and past INX employees. If you did not learn something new from Art Franke, you were not listening. He had always encouraged his people to participate in NAPIM and NPIRI technical activities and has the distinction of attending the very first NPIRI summer course in printing ink technology at Lehigh University. During his role on the Board of Directors for INX, Art also served as President of Knight Colors Dispersion Company. Art served as a Senior Advisor to INX International before retiring from INX in January of 2004. There is continuing and increasing scrutiny of the health and safety hazards associated with chemical exposures. This scrutiny, much of which at present is the result of the European Union’s REACh (and Classification and Labeling – CLP regulations) which continuously accumulates data on chemical safety and health, frequently results in the health/safety hazard re-classification of chemical substances – including substances used in printing inks. January 2018 The Food and Drug Administration has issued enforcement guidance related to the Foreign Supplier Verification requirements (for food contact materials) of the Food Safety Modernization Act. Please visit the Food Packaging Safety page on the NAPIM members’ website. The allowable exportation/importation limit to the EU without REACh registration transitions to the 1-100 tpy range as of May 31, 2018. Companies exporting non-exempt chemicals/mixtures, etc. 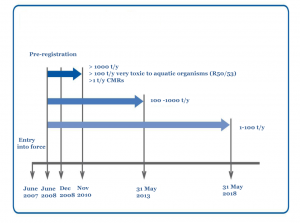 into the EU should insure that appropriate registrations have been completed. If you have any questions please contact George Fuchs at the NAPIM office. 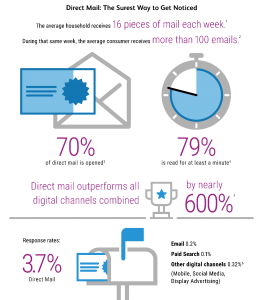 Direct mail isn’t the only “old school marketing” tool getting second looks today. Catalogs are also experiencing a revival. From a hyper-focus on digital marketing, the pendulum is swinging back to printed pieces like direct mail and catalogs. And they’re working. 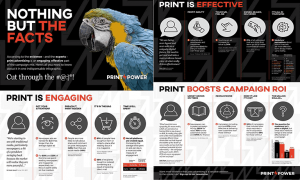 In both B2B and B2C markets, printed catalogs have experienced a surprising resurgence as brands and marketers realize their power to impact buyer behavior. 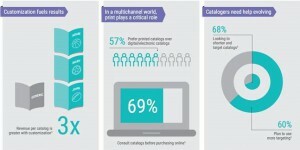 The catalog has been resurrected, and for marketers, it’s looking better than ever. In fact, these Cinderella pieces bear scant resemblance to traditional catalogs with page after page of product shots. Marketers with money are turning to catalogs, but it’s not your father’s catalog. Think of a cross between coffee table book and high-end fashion magazine. Today’s generation of catalogs appeal to consumer lifestyles, and with so much marketing experienced online, catalogs stand out in the physical realm. They hang around for a while in the buyer’s life. Catalogs tell stories. They suggest ideas.